The professional team at IHT Staffing is committed to providing effective solutions for today’s companies facing the challenges of managing a workforce while maintaining a high level of productivity. IHT Staffing offers career placement and temporary staffing for the Myrtle Beach / Grand Strand areas, and nationwide. We offer a full range of hiring options, including Short Term Staffing Positions, Long Term Staffing Positions, Temporary to Hire Employment Positions, Direct Placement, and Payroll Transfer. IHT Staffing offers many services such as recruiting, finding you qualified candidates, and absorbing employment costs. 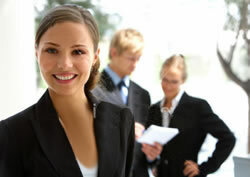 Find out more details on our Staffing Services Advantages page.